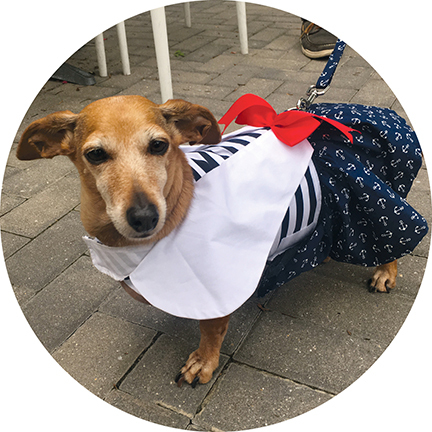 Maddie was spotted in the courtyard sporting a holiday dress (and matching leash). This six year old mini-dachshund travels from Philadelphia for vacations at the beach with Tim. Interested in having your critter featured in Letters from CAMP Rehoboth? Email a high resolution picture (300 dpi) along with their name(s) and one fun fact to Letters from CAMP Rehoboth. Our roaming photographer will also take photos in the courtyard all summer long.